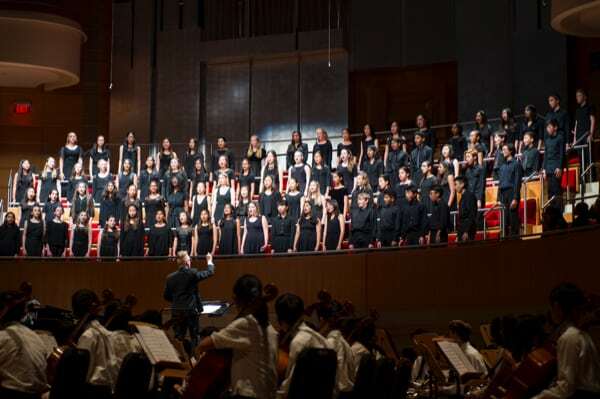 On March 16, IPSF in partnership with IUSD hosted the 35th Annual Donald Bren Honors Concert at the Renee and Henry Segerstrom Concert Hall. IPSF is proud to be the first organization in the county to provide students the opportunity to perform in this magnificent venue. Over 600 of Irvine’s finest young musicians in grades 5-12 participated in this memorable event and performed before an audience of more than 1,500 distinguished guests and family members. We would like to thank our generous sponsors for their support of this event, and for helping to keep music alive in our schools.